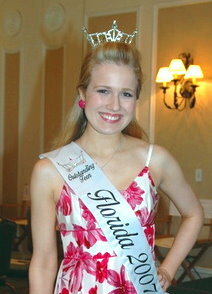 The main fundraiser for our organization is Florida's Hometown U.S.A. Pageant. 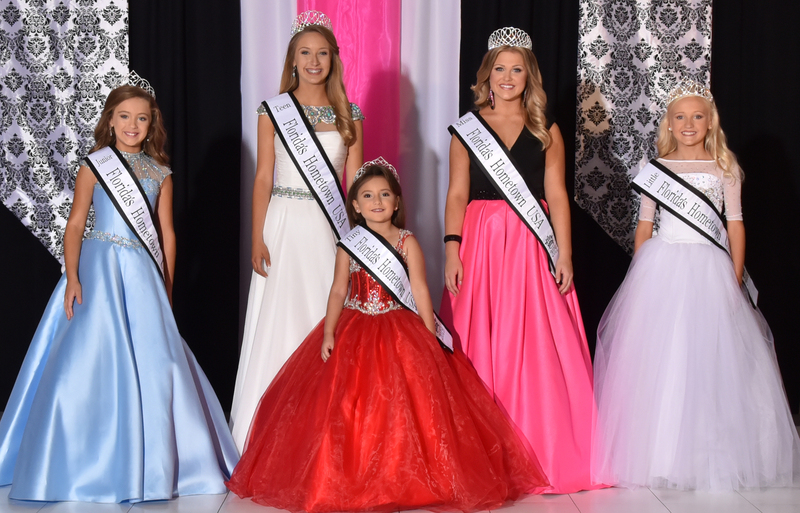 Our 33rd annual pageant will be held in November 2019. Susan Leilani Gearou, from Miami volunteered with our program in 1992-1993. She is a graduate of the FSU Music Theatre Program, the New World School of the Arts in Miami and now resides in New York City. As a talented singer/dancer/actress, Susan is currently starring as the Wicked Witch in Shrek the Musical and is the understudy for the Dragon. She has also appeared in the Wedding Singer (Imelda Marcos and u/s Holly), Fame (Carmen) and Sweeney Todd (Beggar Woman). 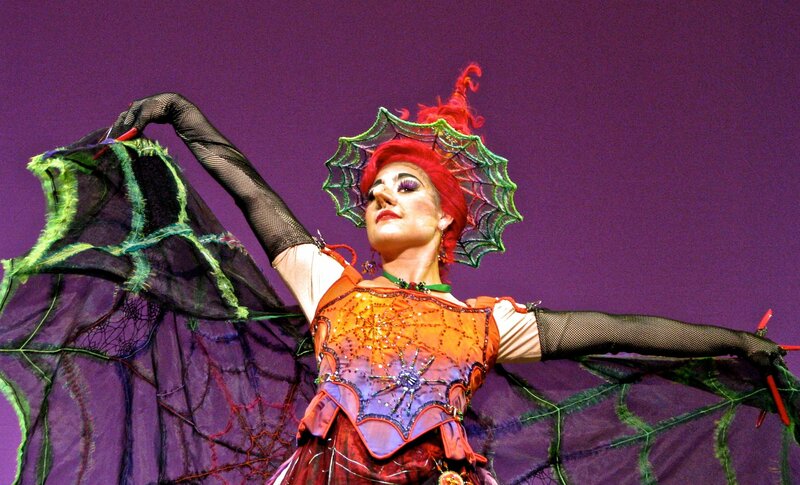 Susan will be traveling to Singapore, Malaysia and China this summer with her tour of Shrek the Musical. Congratulations on your exciting career - lots of love always!! 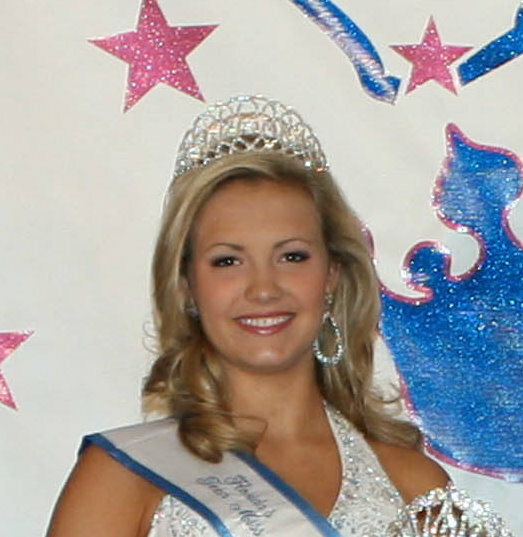 Elizabeth Fechtel from Leesburg was a volunteer with our program in 2009. We are so proud of you, Liz! Alexandra Milbrath from Orlando - way to go! Jennifer Wooten from Leesburg - we love you!! Dreama Walker, from Tampa was a student volunteer in our program in 1997. She started her career in the TV series Law and Order. She has appeared in other TV series and in Seven Deadly Sins which premiered on Lifetime Movie Network. Dreama lived in New York City for seven years and found her big break in her role as Hazel in the series Gossip Girl. She is now appearing in guest spots in The Good Wife and Law and Order: Criminal Intent. Now in LA, she recently landed her first series to co-star in a new upcoming ABC pilot. Watch for Dreama's leading role in the comedy series - Don't Trust the B...in Apartment 23. Dreama, your dreams are coming true! Our love and best wishes always! 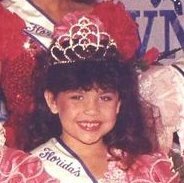 Mari, from Jacksonville, was a volunteer in our program in 1993 - 1994. 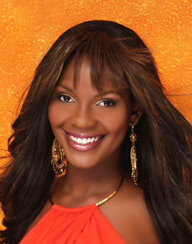 Miss America 2004, Ericka Dunlap! student volunteers in 1993 and 1998. 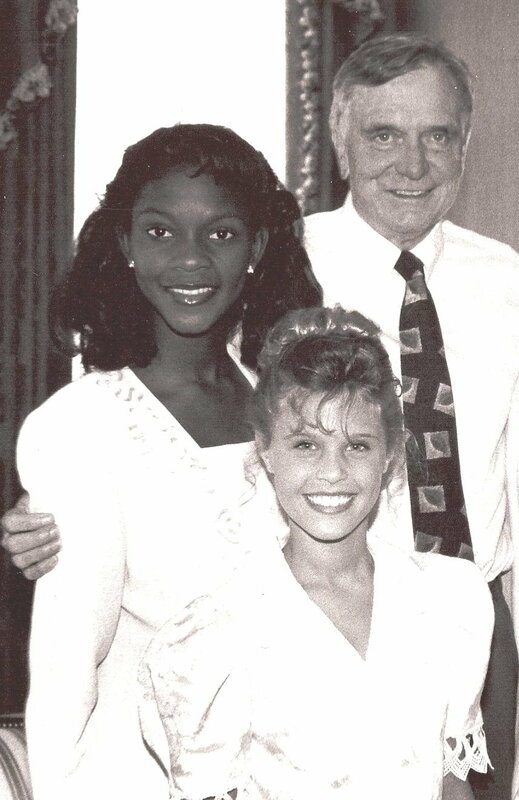 Ericka and Mari with Florida Governor Lawton Chiles in 1993. 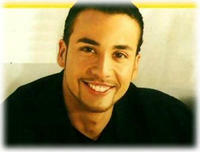 Howie D of the Backstreet Boys volunteered with our program when he was a teenager. 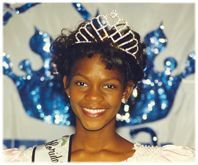 Florida's Hometown U.S.A. is an educational program that stresses the importance of church, home and school activities for Florida's youth. Six students are selected each year to represent their hometown throughout the state. Each girl is recognized by the Mayor of her city and by her school. Her year of service is spent doing volunteer work and attending many community service events. The girls are presented a Resolution from the House of Representatives, the Florida Senate and the Florida Department of Commerce. They receive a Certificate of Achievement from the United States Congress. They also receive recognition from the Governor, Lt. Govenor, President of the US, Vice President, and the First Lady. A special highlight of the year is a visit to our State Capitol for a meeting with state leaders and a photo session with the Governor and Lt. Governor. A special time for all is our visit to the Governor's Mansion. The girls have a choice to visit our Nation's Capitol in Washington D.C. or New York city and enjoy this exciting opportunity. The purpose of our program is to select local students to represent their hometown and to promote pride in their community by active involvement in volunteer work. We are a very active program and our winners are given special attention and opportunities. Our goal is for the girls to have an educational fun filled year of recognition throughout Florida.